Karai Madill is a Canadian writer who lives in a wooden house not far from swiftly flowing river. Every now and then a bear comes along and steals her garbage. When she’s not hanging out with her best equine friend, she can be found roller skating around in circles or planting butterfly friendly gardens. 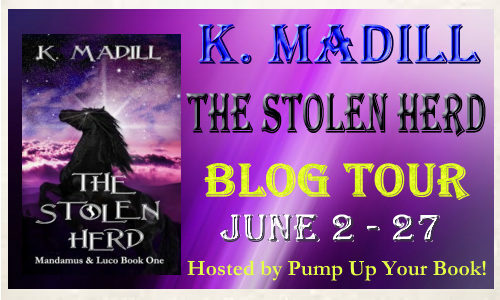 The Stolen Herd is her first novel. Thank you for joining us today, Karai. Can you please start off by telling us a bit about yourself? I am a true Canadian and it’s true what they say about us. We’re overly polite. We apologize for apologizing. I have to be near my creature friends as much as possible. I have to visit a forest as least once a week. I will always ditch everyone and everything to write. I think it’s more the storytelling bug. My mother is an avid reader and our house had a library in the den, full of fantasy novels. I wrote my first story when I was six years old, according to her, about a unicorn named Me. I don’t remember that one. I do recall penning a tale that ended up in the school paper though. That one starred a miniature lion that led me to a room full of candy! Ha – animals and mythical creatures. There’s a pattern here, I think. You know…I don’t think I actually consciously decided. I just began the Mandamus and Luco series and it just sort of ended up in that category. I think my favorite part is having animals as characters. I adore Rudyard Kipling’s The Jungle Book and Charlotte’s Web. I graduated to Animal Farm in my later years, and realized that while the first two were magical in their story telling, the way Orwell used animal characters to express a political message was equally as brilliant. For my books, I get to write scenes with people having conversations and arguments with animals. It’s a blast! I’m also a firm believer that stories need mythical creatures. With an eclectic cast of characters like that you can create all different kinds of scenarios. I think the biggest difficulty is keeping it short and sweet to hold a younger reader’s attention. I idolize the works of J.R.R. Tolkien. I enjoy page after page of descriptive narrative. I also like to write them, much to the chagrin of my editor. She cut a lot out of the original manuscript for this very reason. 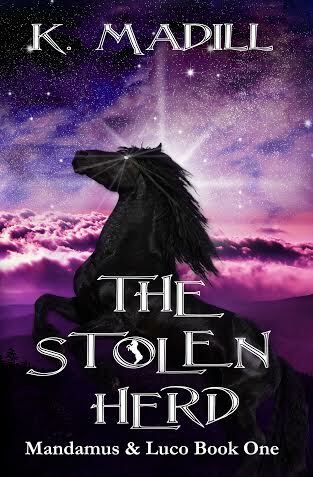 The Stolen Herd is about a foal who is orphaned when his herd is captured by an army. 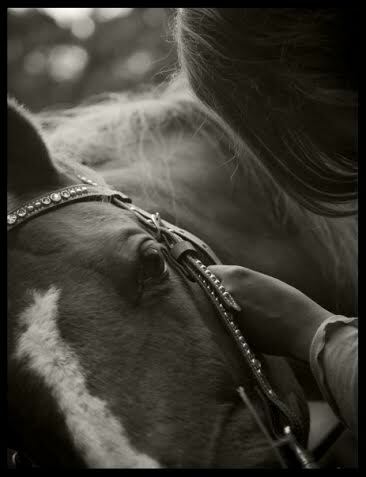 He is found and raised by a mare and her rather ferocious sister. When he’s a bit older, he finds himself in deep trouble, so deep he is sent into temporary exile from his herd. He goes on an adventure and meets all sorts of beings from terrible imps to forgetful naiads. I saw a news article about a school that was busted up by the Taliban, just wiped out. It terrified me. As I sat there, feeling immeasurably sad, this black horse with glowing, white eyes just popped into my head. He looked so worried. For the rest of the day, his story came in a flood of ideas. I wrote them down when I got home that evening. The second book in the series. The planning is almost finished. Some of the writing has already begun. The storyboard is full and the creativity is overflowing. I love being able to work on new material. The Stolen Herd took six years. Towards the end I felt stagnated with the whole thing and I was trying to meet a deadline so I was doing re-writes to the edited version for up to 10 hours a day. I almost began to hate it. I do! I would like to thank everyone who has taken the time to read The Stolen Herd and messaged me or emailed me. Your encouragement is truly appreciated. 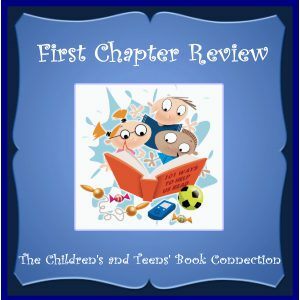 If you liked this one, you’re going to love the 2nd book! Thank you for spending time with us today, Karai. We wish you much success.